Where is it? prepositions of place. 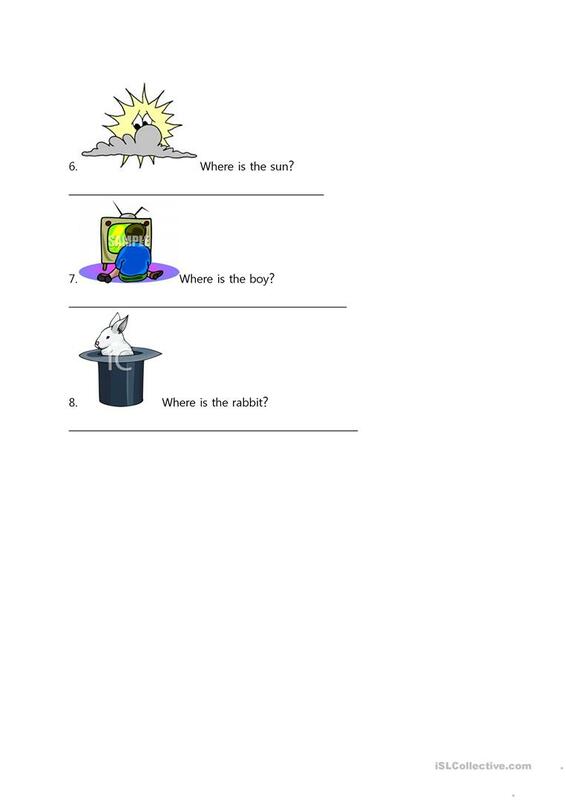 A worksheet to use with prepositions of place or as a test for prepositions of place. 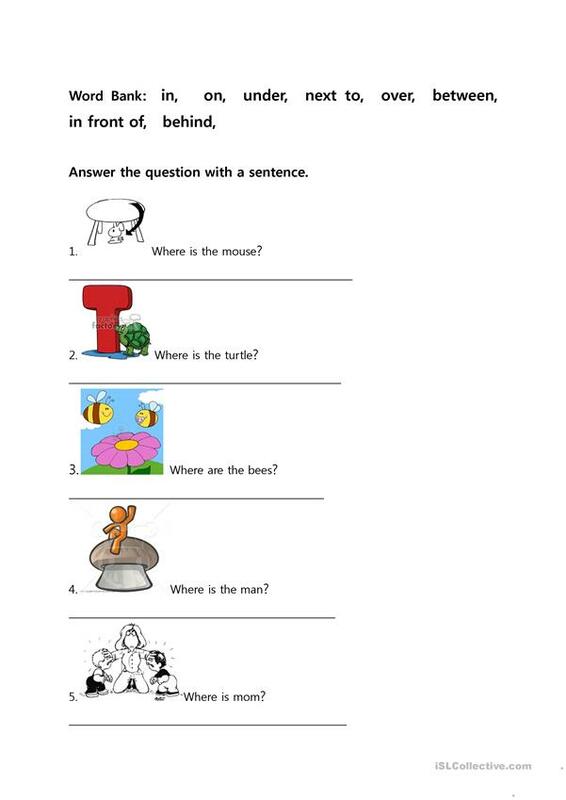 Write a sentence describing where the object is. The present downloadable printable was created for elementary school students at Beginner (pre-A1), Elementary (A1) and Pre-intermediate (A2) level. It is a useful material for practising Prepositions and Prepositions of place in English, and was designed for developing your groups' Writing skills.